Some people love nothing more than going shopping and searching for the products they love at the lowest prices. For these people, there’s no better way to spend a day than browsing around malls and stores in search of their next awesome purchase. 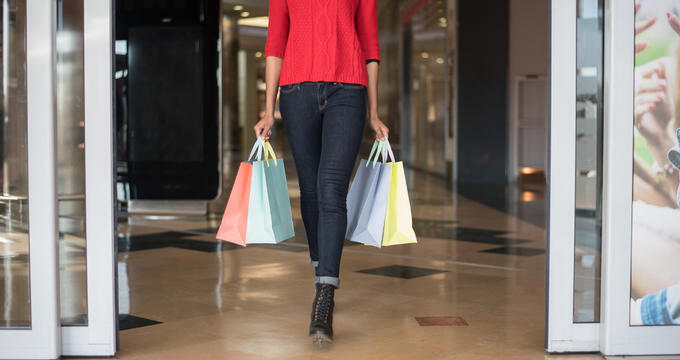 Shopping is a fun activity that people of all ages can enjoy, allowing us to spend our hard-earned money on items to improve our lives and make us happier in general. When shopping in the United States, you have dozens of different options available to you, from huge supermarkets and department stores that sell almost every item imaginable to smaller brick-and-mortar independent stores that specialize in certain goods. There are also enormous malls all around the nation, with countless stores and even additional features like movie theaters, food courts, mini golf courses, and other attractions to enhance your shopping experience and make it fun for all the family. Outlet malls are one of the best options for shoppers, offering dozens of stores featuring major, world-famous brands from both the United States and abroad like Ralph Lauren, Calvin Klein, Tommy Hilfiger, Under Armour, Fossil, Nike, Skechers, and more. These stores are able to offer the best prices around and feature discounts that regular retail locations would never be able to provide, so if you want to buy the goods you love at the lowest costs, outlet malls and stores are the best place to be. Located in the Mid-Atlantic part of the United States, Pennsylvania is home to a vast array of outlet stores and factory outlet malls. Whether you're in the east or west of the state or right in the center, an awesome outlet mall or location is never too far away. Here are some addresses and overviews of some of the very best outlet malls in Pennsylvania for you to enjoy. Open every day of the week and nestled snugly among the stunning Pocono Mountains of Pennsylvania, The Crossings Premium Outlets is conveniently situated for many big cities and towns in the state. Offering 100 different brands and names in total including The North Face, Gap, Kate Spade New York, Adidas, Calvin Klein, J. Crew, Under Armour, and dozens more, this outlet mall offers a myriad of options for every single shopper. A super food court is also featured at this location. This open air outlet mall is one of the best locations in Pennsylvania for low cost shopping of major fashion and designer brands. It's perfectly situated for Pittsburgh residents, in particular, and features 140 stores in total. Lots of great discounts and deals can be enjoyed at this location, especially on major shopping holidays like Labor Day or Black Friday. Some of the best brands to find at Grove City Premium Outlets include Polo Ralph Lauren, Tommy Hilfiger, Michael Kors, Coach, Vera Bradley, and Nike. Part of the nationally known Tanger Factory Outlet Centers brand of outlet malls, Tanger Outlets Pittsburgh is another awesome shopping location for Pennsylvania residents and visitors. Conveniently situated and offering a huge range of branded factory stores, this location provides all you need to enjoy the ultimate shopping trip. Cute store facades and attractive promenades make this outlet mall a joy to walk around, and some of the top featured brands include H&M, Michael Kors, Banana Republic, Saks Fifth Avenue Off Fifth, J. Crew, Gap, and many more. Opened back in 2007, Philadelphia Premium Outlets swiftly grew into one of Pennsylvania's hottest shopping locations and is easily one of the top spots for people looking for low prices and awesome deals in and around Philadelphia. Covering over 550,000 square feet in total, this open air mall offers 150 individual stores including huge name brands like Polo Ralph Lauren, Gap, Movado, Tommy Hilfiger, Forever 21, and more. Located near some of the most historic and popular touristic sites in all of Pennsylvania, The Outlet Shoppes at Gettysburg give all guests a myriad of chances to save big bucks while shopping with their favorite names and brands like Under Armour, Tommy Hilfiger, Coach, American Eagle, Osh Kosh, and dozens more.